West Ham United midfielder Declan Rice and Chelsea forward Callum Hudson-Odoi will both make their full England debuts in this evening’s Euro 2020 qualifier against Montenegro, according to Sky Sports News. Both players came off the bench in the 5-0 win over Czech Republic to make their debuts. They are now set to get their first starts in Montenegro. Rice, who switched allegiance from the Republic of Ireland after winning three caps in friendlies, replaced Dele Alli in the 63rd minute at Wembley last Friday evening. Hudson-Odoi came on for hat-trick hero Raheem Sterling and had a hand in the fifth goal. The 18-year-old is yet to start a Premier League match for Chelsea, but is expected to get a competitive international start in Podgorica tonight. 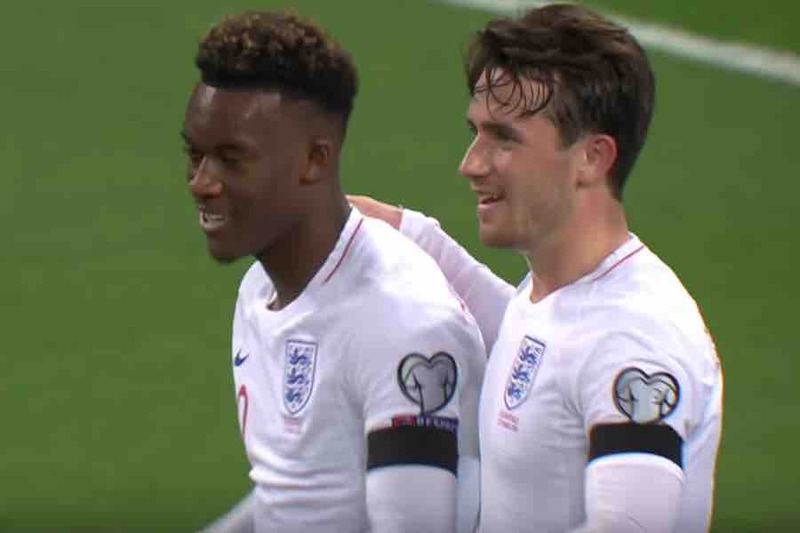 With Sterling in fine form, Hudson-Odoi could replace fellow youngster Jadon Sancho in England’s front-three. The Borussia Dortmund starlet, also aged 18, is thought to be struggling with an injury. Rice, aged 20, is likely to slot in for Eric Dier, who sustained a muscle injury against Czech Republic and has since withdrawn from Gareth Southgate’s squad.